JD Wetherspoon, a chain of pubs, has used its Twitter account to tell its more than 44,000 followers it has quite social media. The head office of the company and its 900 pubs will not use the micro-blogging site and will close their Facebook and Instagram accounts immediately as well, said the tweet from the company. The pub chain has linked its decision to bad publicity it received that surrounded social media. Tim Martin the company chairman said that society would benefit from people cutting down on the amount of time they spend on social media. In addition, the company said the decision to cut out social media has been influenced by worries regarding misuse of personal information and social media’s addictive nature. The chairman said the company was going against conventional wisdom that the platforms are vital components to having a successful company. He added that he has always thought that the idea social media was an essential part of advertising was not true. Martin said the company was concerned that managers of the pubs were becoming side-tracked from what is most important and that is serving customers. He does not believe closing the social media accounts will affect the business in any way. 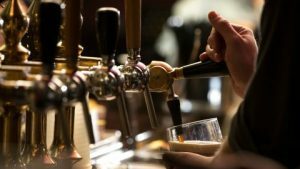 He consulted with his pub managers prior to taking the decision, and that between 90% and 95% felt the use of social media did not help the business. Martin say he believes that if people could limit their time using social media to 30 minutes daily, they would be both mentally as well as physically better for it. Martin said he finds that most people he knows waste large amounts of time on social media and many admit to wasting time but struggle if they try to cut down or stop using it. The chain of pubs has put a great deal of work into social media to date, with hundreds of different Twitter, Instagram and Facebook accounts. However, none of them have that much of a following, and those operating the accounts did not do that good of a job. One tweet that pushed the pub’s Good Friday fish and chips was re-tweeted just three times. Managing an effective strategy for social media and making sure the staff is operating such a large throng of accounts that stick to strict company policy is time consuming as well as expensive and that could be the biggest reason the company has decided to shutter them.